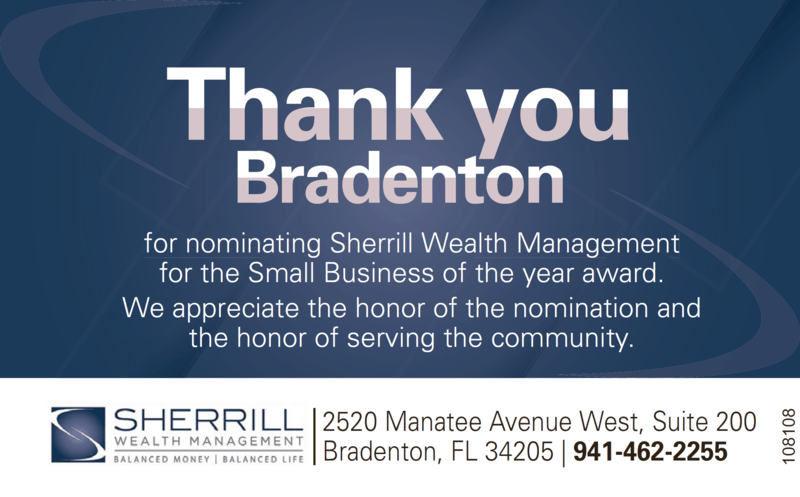 The Manatee Chamber of Commerce has released the list of finalists for the 37th Annual Manatee Small Business of the Year Awards. 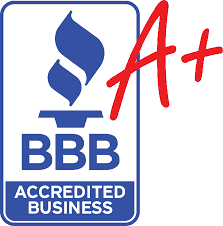 Sherrill Wealth Management, LLC, an Investment Management company located at 2520 Manatee Ave W STE 200 Bradenton, FL 34205-4963, announced today that it has met the accreditation standards required by the Better Business Bureau for membership with the organization. 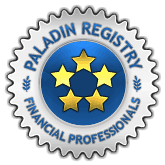 March 18, 2013 Gardner Sherrill, principal at Sherrill Wealth Management in Bradenton, has been awarded a 5-star quality rating by Investor Watchdog and admitted to the Paladin Registry of financial professionals.